All U.S. drivers are familiar with railroad crossings for freight trains. But sharing the road with light-rail trains is another matter – and it can be a little unsettling for some drivers when traveling in high-density cities. 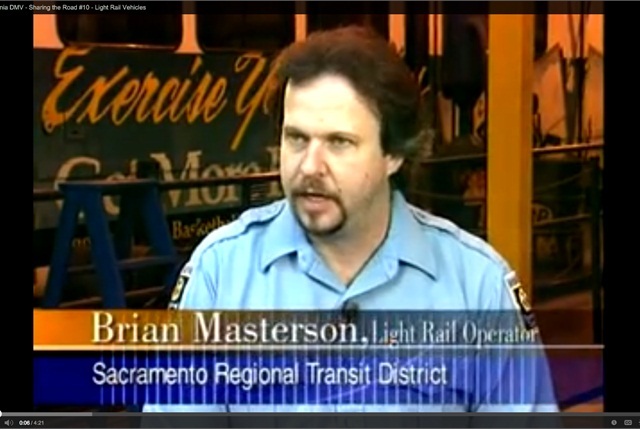 Here is a video featuring advice from a light-rail operator in Sacramento, Calif. You may want to pass this along to your fleet drivers. The safest drivers are those who establish safe driving habits and don’t let the unexpected lead to a panicked response. To view the video, click on the photo or link above. Being aware of where light-rail vehicles operate. Buildings, trees, etc., cause blind spots. Never turning in front of an approaching light-rail vehicle. Maintaining a safe distance from the light-rail vehicle if it shares a street with vehicular traffic. Looking for approaching light-rail vehicles before you turn across the tracks. You should complete your turn only if a signal indicates you may proceed.